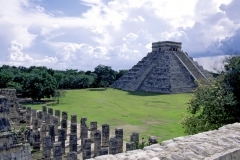 Merida is the principal city of Yucatan and the largest in the Yucatan Peninsula. Away from the coast, the city has a tropical wet and dry climate. Distinguished for its role in the history of Mexico, Merida is considered a capital culture. Merida is full of culture, colonial history, archeology and Mayan secrets, such as it is recognized as the main cultural center of the Yucatan Peninsula; surrounding by museums, art galleries, theatres, historical monuments and colonial buildings, is the city with the second-largest historic center in Mexico. 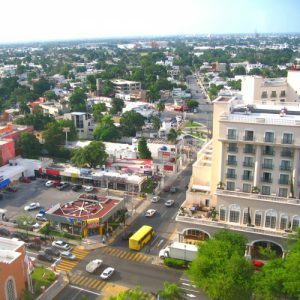 The modern Merida offers its visitors a wide range of top quality-hotels, shopping malls and fine-restaurants, where the unique flavors of the ingredients of Yucatan food will surprise any taste. Paseo de Montejo, Merida en Domingo, the Merida Cathedral and Chichen Itza; are the main culture attractions of the city and around. Known as “the White City”, Mérida was founded in 1542 by Francisco de Montejo “el mozo” on the site of a Mayan city, was named after the town of Mérida in Extremadura, Spain. Mérida retains an abundance of beautiful colonial buildings, principally in town center and as a cultural city, the music and dancing playing are important parts in day to day life of the metropolis. Merida was built surrounded by a wall and several of the old Spanish city gates remain. Yucatan food is an icon of the Yucatan Peninsula, with the unique style and flavors of its ingredients and spices, is considered as the real meaning of Mexican food. 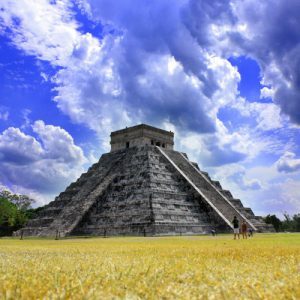 Moreover, the customs and traditions of a community that has survived to the attempts to eradicate Mayan tradition will surprise and delight all visitors. 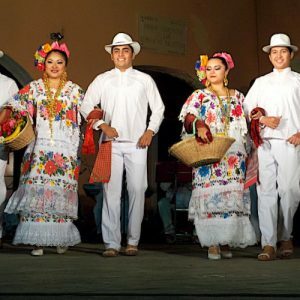 Items that distinguished Merida and Yucatan from all the communities and states of the country are the music and dancing of the Vaquerias Regionales, the typical dress with its hipiles and guayeberas, the handmade hammocks, the spoken accent and the Mayan language. Having a long tradition, Merida is the perfect place to those who wants to relax and discover a new cultural world.